1 Class per week for 12 weeks: Fees are $60 monthly totaling $180 or $170 if paid in full. (A $10 savings) Discount offered for additional siblings. *Summer session is a requirement of 6 weeks and totals $90. *Fees will be pro-rated depending on when you join during the 12 week session. *Make sure to call or email to confirm class availability before registering. The Learning Train offers several different parent/child classes for children six months through four years. The activities are designed to improve balance and coordination and introduce sensory stimuli while reinforcing good social skills in a group play environment. The Learning Train also incorporates music and early literacy skills into our age-appropriate activities to help develop the cognitive, physical and social skills of children as they play. Baby Chuggers (6 months-12 months) Focus on sensory exploration and visual and auditory development. Activities include listening to and learning first songs, tummy time, flashlight play, and discovery and exploration time. Babies will advance to learn about cause and effect relationships and will develop physically through play using soft play equipment such as steps, inclines, parachute play and more. Parents will be able to discuss their child’s development and ask questions during this class. Little Engines (12 months-18 months) Focus on communication with parents and peers. Observe parents sharing with others and taking turns while playing. Using soft play equipment, children will practice balance and coordination, and will have time to explore and discover tunnels, slides, and more. Parents watch how their children interact and communicate with them and their peers. Songs and books enrich emerging language. Toddler Trains (18 months-24 months) Focus on patterns and sequences with shapes and colors. Become problem solvers through discovery games and activities. Children practice climbing techniques, balancing, and sliding and will focus on language skills and social interaction. Introduction to shapes, numbers, and the alphabet. Kiddy Conductors (2 years-3 years) Focus on creativity to support symbolic thinking using pretend play, art, music, storytelling, literature, and drama. Children continue to practice climbing techniques, balancing, and sliding and will focus on language skills and social interaction. 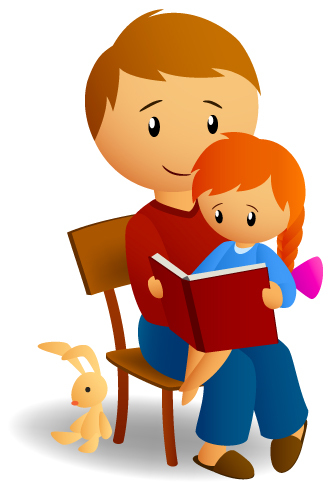 Introduction to early literacy skills such as print motivation and awareness, letter knowledge with phonological awareness, and vocabulary development through story time and educational games. Station Masters (3 years-4 years) Focus on independent and peer learning activities. Children learn to watch and wait their turn for obstacles and games. They develop better listening skills as they are given different instructions to follow within each play area. Practice early literacy skills such as print motivation and awareness, letter knowledge with phonological awareness, and vocabulary development through story time and educational games. Enrichment classes are themed based and students will practice letters, shapes, numbers, colors, songs, and nursery rhymes. We will explore instruments and do movement exercises, make crafts, practice social skills, and have an all-around fun time while learning pre-school skills. Please call for more information or to add to the waiting list. Call 337-534-4291 to inquire about our Enrichment Classes. If you know in advance you cannot attend a class please call to schedule a make-up. Missed classes must be made up during the session of your enrollment. Check the schedule to see other times in which your class is offered. If class is not offered, you may attend another group if desired. There are also make-up days built into the schedule. Please bring only healthy children to class. Our makeup policy is very easy! *The Learning Train hosts an INTERACTIVE environment for parents and children to play together. *Parents/Guardians must supervise their children at all times. Stay within an arm's reach of your child. *The Learning Train LLC is not liable for injuries. *No shoes allowed. Children should be barefoot. *Use equipment only as intended. *Keep drinks and food in snack area. *Please bring only healthy children. Medical: Note any allergies and emergency contact numbers on your registration. Please keep children home and symptom free for 24 hours if they have had a fever, any intestinal disturbance, any contagious rashes, pink eye, or severe cold symptoms. No medicine will be given. *Newborn babies to 6 months are welcome to come to class with older siblings.